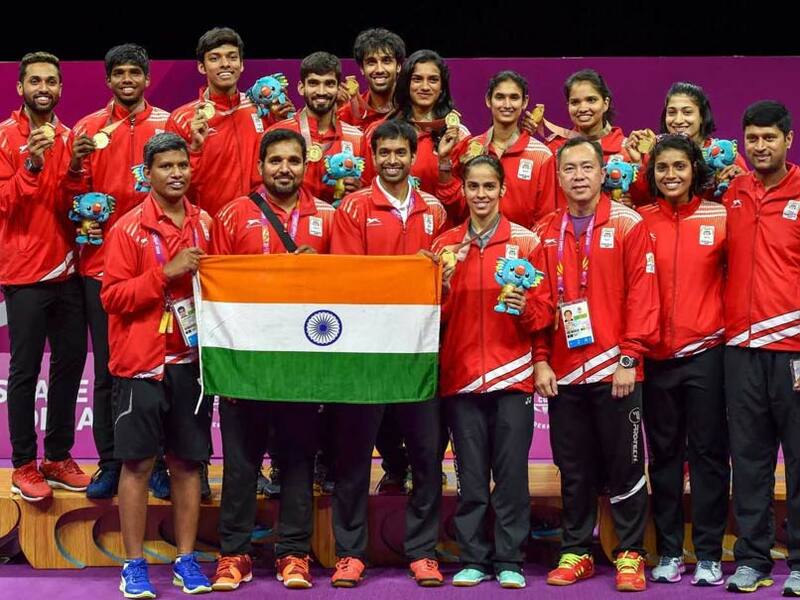 In the overall medals tally, India jumped to third spot with 10 gold, four silver and five bronze medals after another fruitful day across sports, which fetched three gold, two silver and a bronze. The ever-reliable Jitu Rai's pistol shot down a gold and a Games record, while the mixed badminton and men's table tennis sides also picked up milestone top finishes as India shone through in both the individual and team events on a splendid day 5 of the 21st Commonwealth Games. The weightlifters wrapped up their remarkable campaign with a final-day silver medal through Pardeep Singh (105kg), signing off with five gold, two silver and two bronze medals, topping the charts in the sport. Jitu started the gold rush in the 10m air pistol event, shrugging off a weak qualifying round to shatter the Games record with a score of 235.1 in the final. "I had a bad qualifying round because I was sweating a lot, was feeling nervous and also the timing of my trigger was off. But once the coach told me the mistake I was making in my timing, I corrected that and got better result in the finals, said Jitu. The 17-year-old Mehuli Ghosh grabbed a silver in the 10m air rifle, finishing ahead of experienced teammate Apurvi Chandela. Mehuli also shot a Games record score (247.2) in the process but missed out on gold in a shoot-off with Singapore's Martina Lindsay Veloso. "I will try harder next time. I know I can do more and will try my best, said the exuberant shooter, who had mistakenly taken her gear off thinking that she had claimed the gold before realizing that she still had a shoot-off to deal with. A bit of history was made in both table tennis and badminton. While the shuttlers thrashed three-time defending champions Malaysia, the paddlers first took down defending champions Singapore in the semifinals before sailing past Nigeria to claim gold medals. On the final day of weightlifting competition, Pardeep came agonisingly close to a gold but eventually settled for a silver after a close contest with Samoa's Sanele Mao. Singh, the reigning Commonwealth Championships gold-medallist, lifted a total of 352kg (152kg+200kg) to claim the second spot after an exciting showdown with Mao, which had the packed arena on its feet. The 23-year-old went for a 211kg lift, which would have been a new Commonwealth and Games record in clean and jerk, but could not pull it off in his final attempt. "I have lifted a personal best of 215kg in the past but may be it wasn't my day," said the Games debutant, who was happy with a podium finish but a shade disappointed with the colour of his medal. Apart from the medals, there were several other good results worth celebrating, a prominent one being Muhammed Anas Yahiya advancing to the 400m men's final after clocking 45.44sec in the semifinals. The Indian topped the list ahead of Jamaica's Rusheen McDonald. Also entering the final of a track and field event was high jumper Tejaswin Shankar, who finished a joint fifth in group A and ninth overall. The Indian cleared 2.21m in final analysis after starting out at 2.10m. None of the competitors in fray could touch the official mark set at 2.27m with 2.21m being the best effort by the top 12, who made the cut for the finals scheduled on April 14. In the 400m women's event, Hima Das qualified for the semifinals after finishing third in her heat. 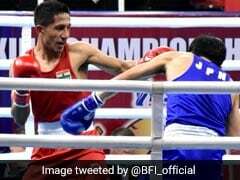 In the boxing ring, Gaurav Solanki (52kg) and Manish Kaushik (60kg) advanced to the quarterfinals of their respective victories after winning their last-16 stage bouts. There were disappointments too. 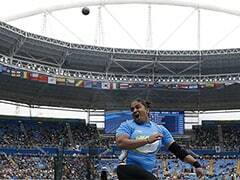 In the 10,000m women's final, L Suriya recorded a personal best of 32:23.56sec but ended 13th overall, while shot-putter Tejinder Singh was eighth in the final with a best throw of 19.42m.